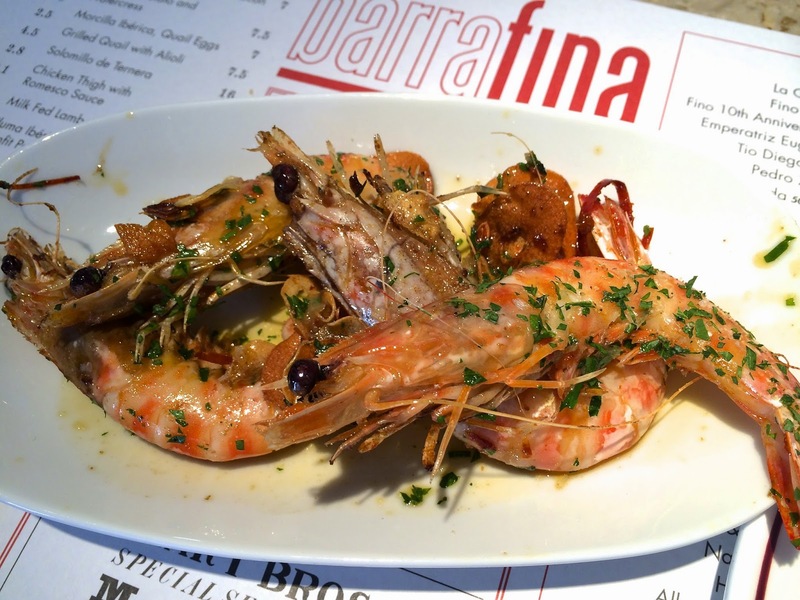 This was my second time at Barrafina. The last time I visited their Frith street location I had to wait for almost an hour, but it was totally worth it. They opened a second location in Covent Garden so maybe the wait time will be better now for dinner! This time we went around 215pm for lunch on a weekday and we didn't have to wait at all. The restaurant was basically one long bar and everyone sat on bar stools. There were also two tables outside for larger parties. We were seated at the counter. It was a bit difficult to talk amongst four people but that was expected. Our server was very helpful and didn't try to hurry us even though it was almost time for last order. 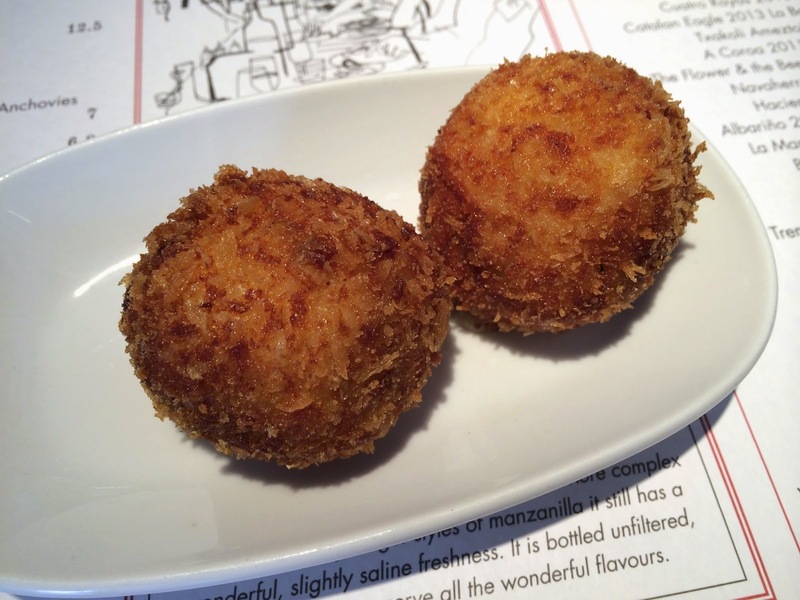 Ham Croquetas: Had this last time while I was waiting in line. 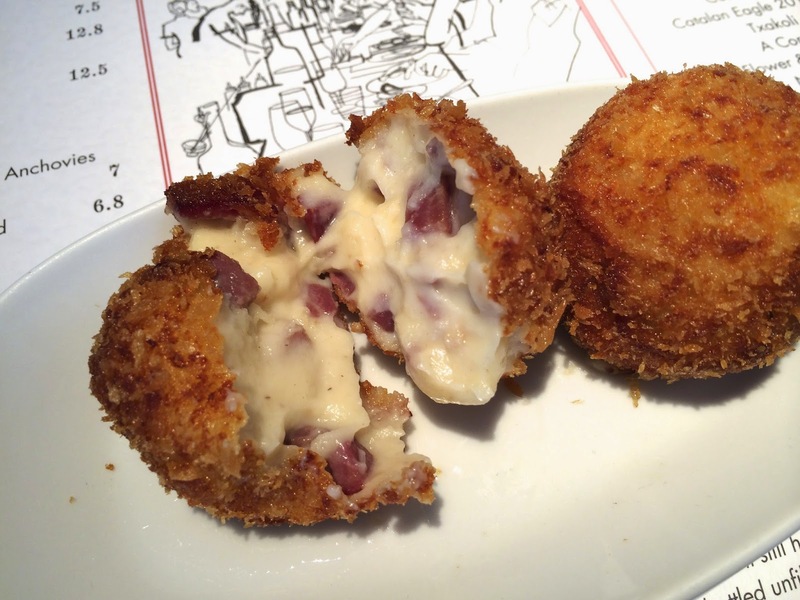 One of the best croquets I've ever had! The coating was crispy and thin (but not greasy at all) and the inside was velvety smooth with the perfect ratio of potato filling to ham. 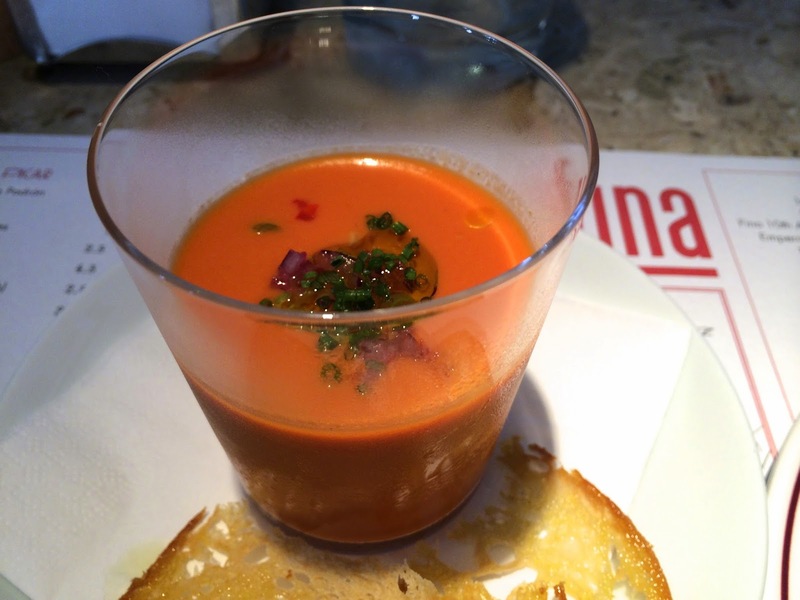 Gazpacho (Specials): Yes another gazpacho! This was better than the one from Ron Gastrobar. It was light and refreshing, with dominant notes of tomato and cucumber. I liked the creamy cold texture. 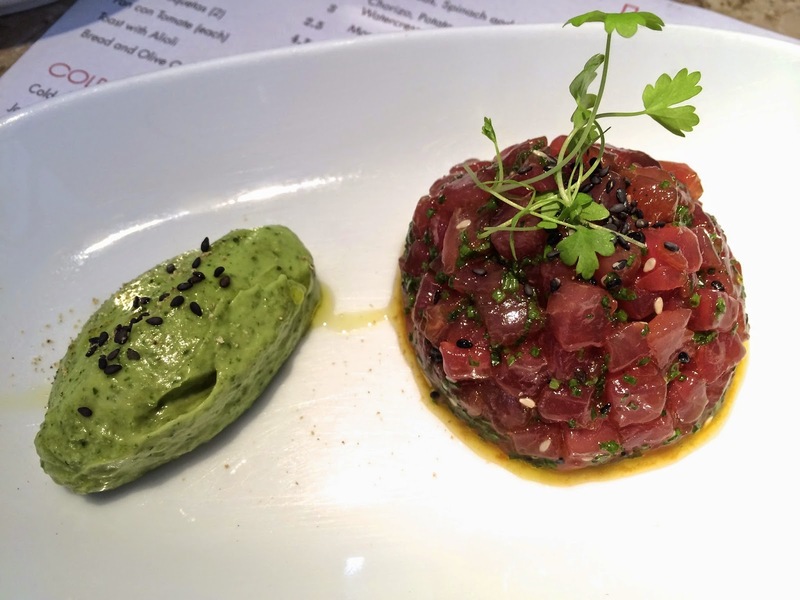 Tuna Tartar: The tuna was marinated in Asian flavours like soy sauce and sesame oil. However they were a bit too heavy-handed with the soy. The avocado helped tone down some of that saltiness. Gambas al Ajíllo: Delicious rendition of this well-known dish. The prawns were fried to a perfect garlicky crisp and I could eat the shells of the body. The garlic didn't leave an overpowering aftertaste in my mouth. 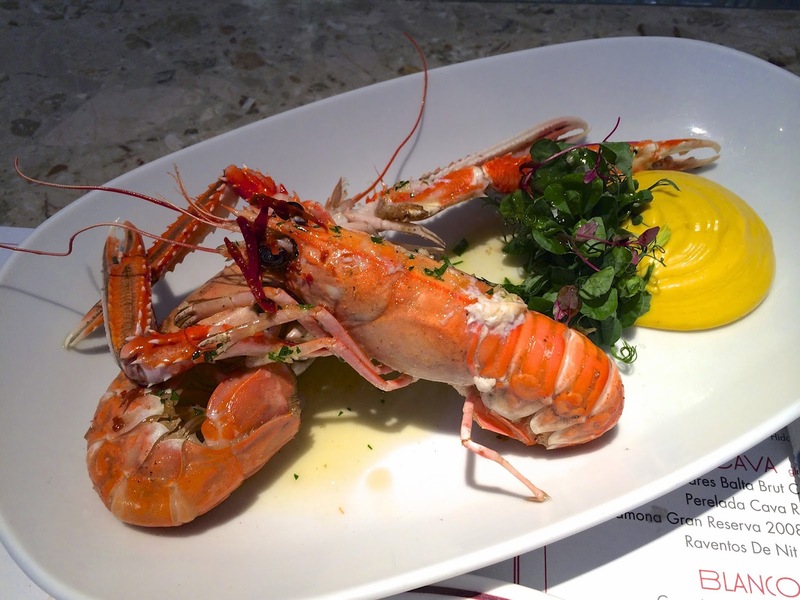 Langoustines with Saffron Alioli (Specials): This was our favourite dish. The langoustines were so plump and sweet and just cooked through. The langoustine heads were full of delicious juices. The alioli had a nice heat to it but the langoustines were delicious enough on their own and didn't need the alioli. 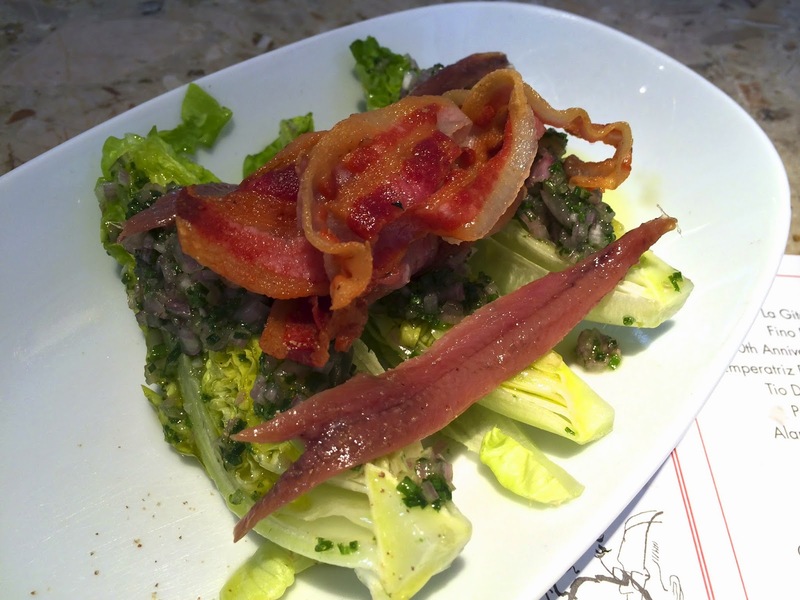 Baby Gem Salad with Anchovies and Smoked Pancetta: The lettuce was dressed with a tangy shallot vinaigrette and topped with crispy pancetta and anchovies. This tasted exactly how it looked. Great way to get your daily dose of veggies! 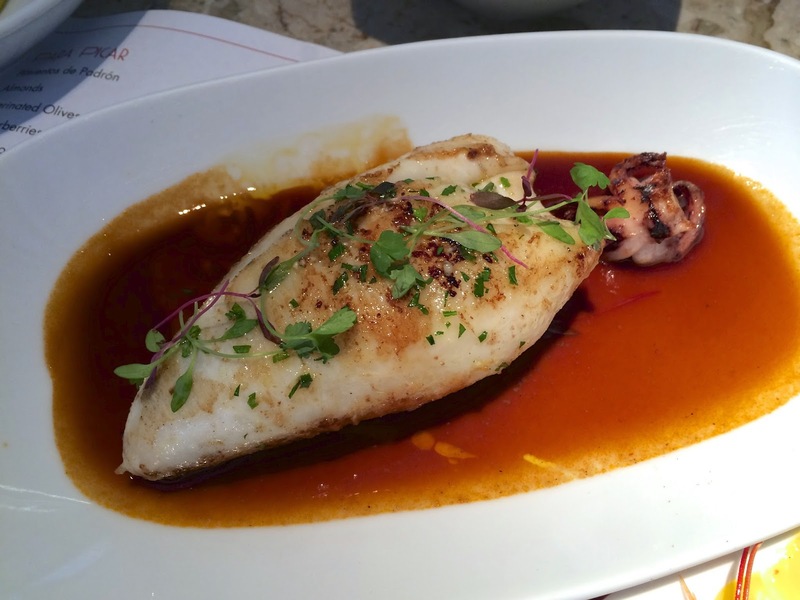 Stuffed Squid with Girolle Mushrooms (Specials): The squid was tender and had a nice char to it. The stuffing however was unmemorable. I remember I had dip the squid in the aioli from the langoustine to add flavour. 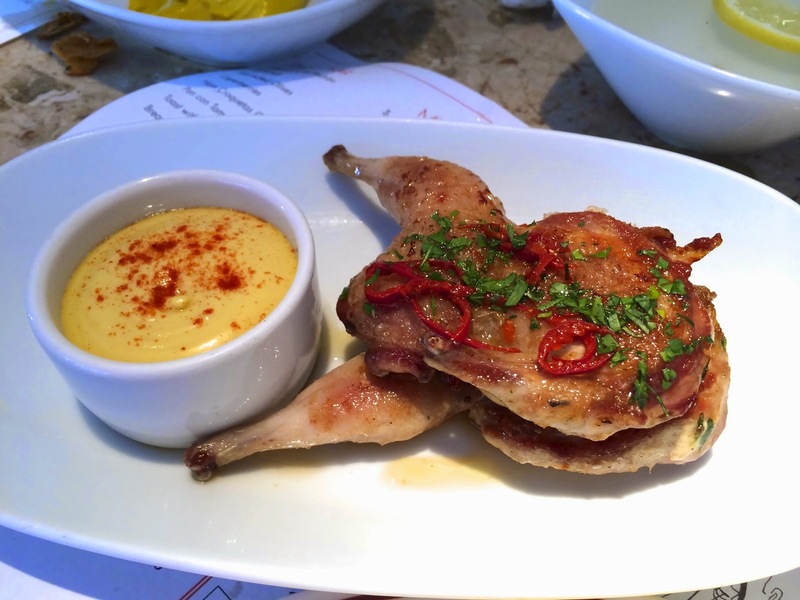 Grilled Quail with Alioli: The skin was crispy and the meat was tender and juicy. The quail could've used a tiny bit more seasoning. I slathered the quail with the saffron aioli from the langoustine (again) because it was more fragrant than the aioli that came with the quail. Verdict: Great food and great ambiance. You can try a lot of dishes with the tapas sized portions! I would probably stick to the a la carte menu, unless something on the specials really catches your eye. Come early to avoid long waits, and best to come with 2-3 people max. I've heard great things about their tortillas, so I'll be sure to try them next time.